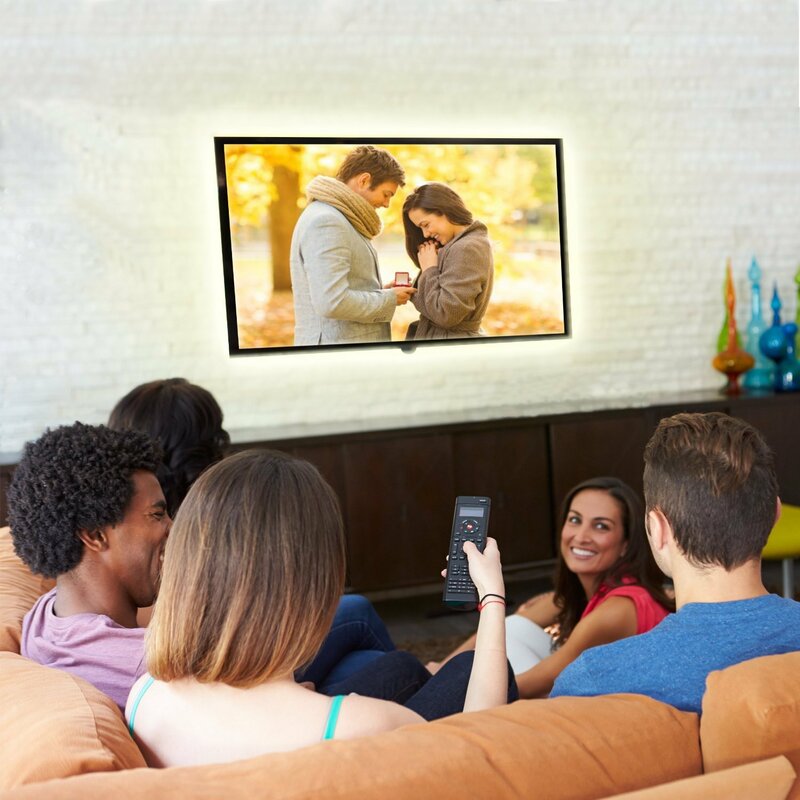 Add ambient light to your television to enhance your viewing pleasure. 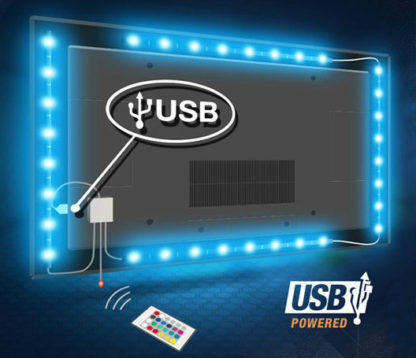 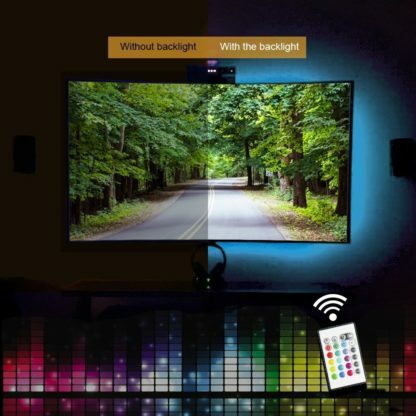 Unlike most TV backlight kits on the market this has 4 LED strips to go all the way around the back of the television, and they have been cut in lengths of 60cm and 40cm specifically to better suit a widescreen television. This will give a better ambient light all the way around the television instead of just at the sides or top. 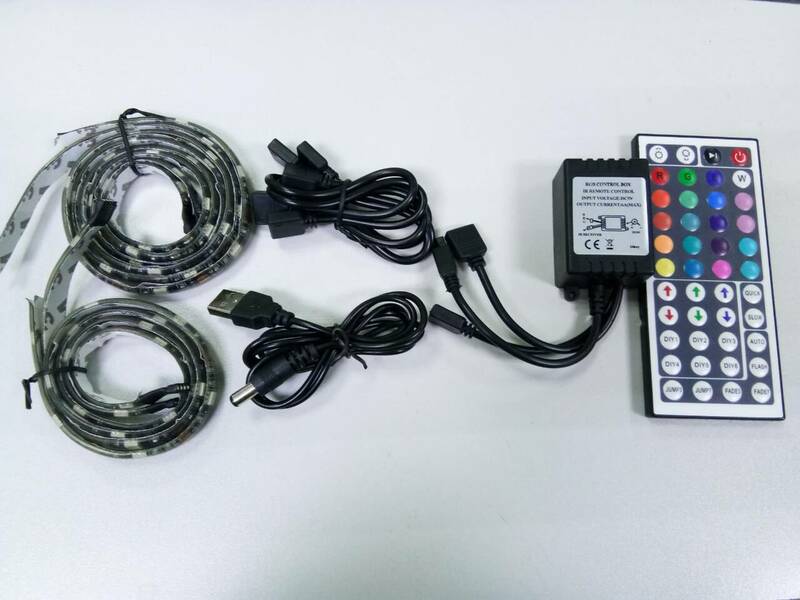 The remote control has 44-keys to control the colour with presets or any colour using the colour mixing buttons, and the brightness, and some themes such as flashing, phasing, etc. 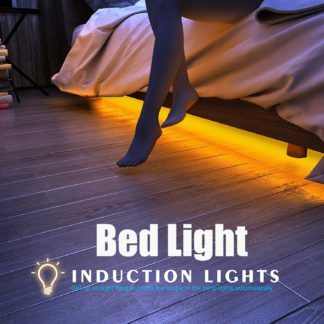 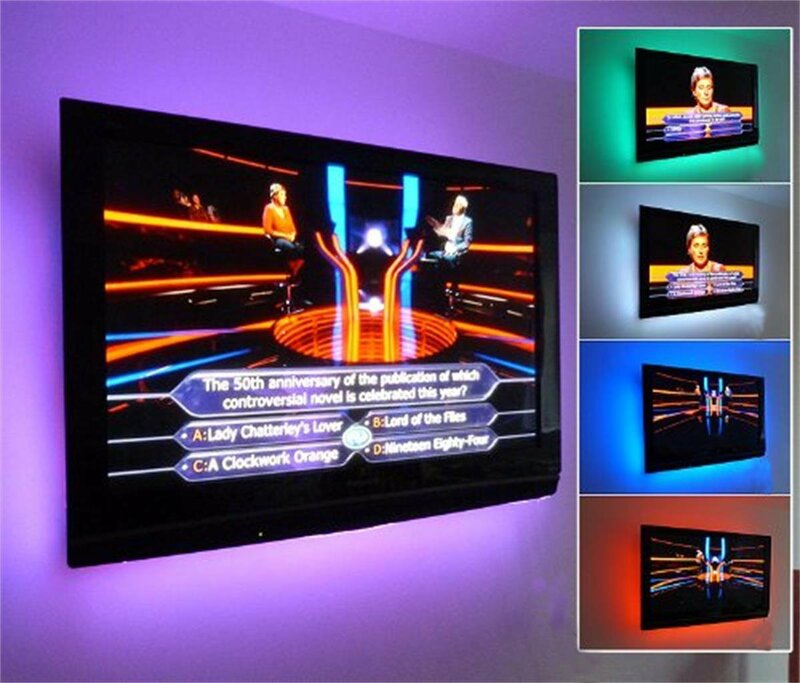 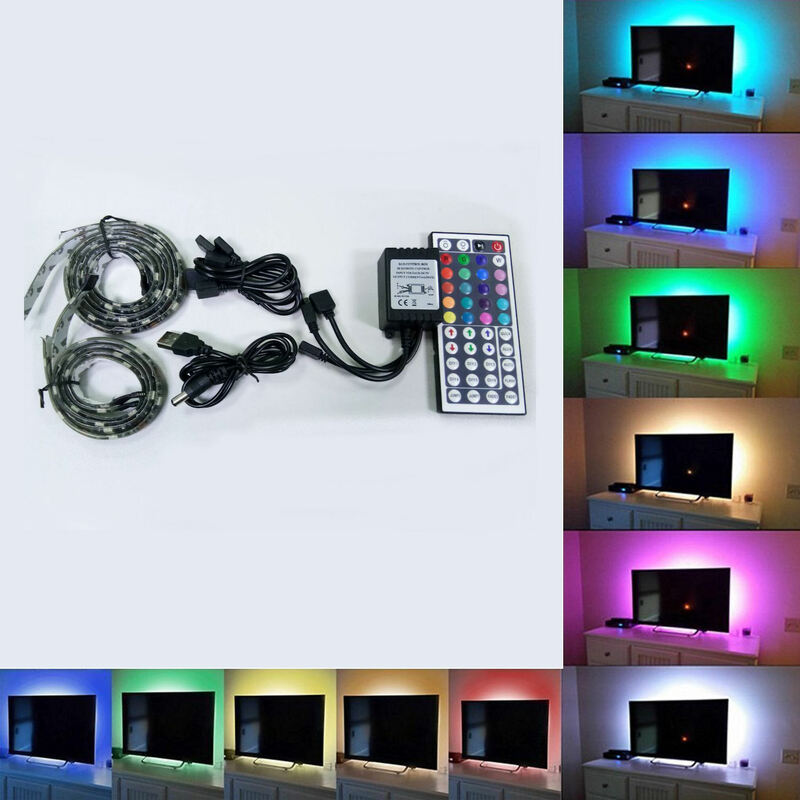 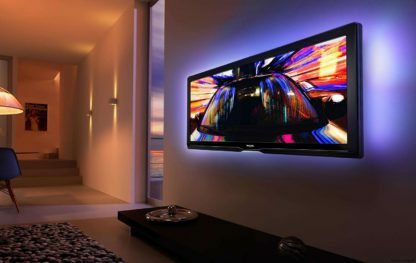 This bias lighting kit adds ambient lighting to your television, powered by your television and controlled by remote control you can choose different colours, brightness, and functions. 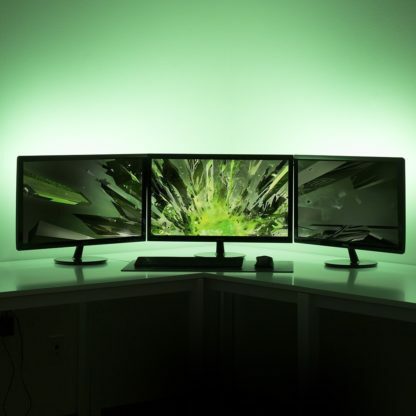 It also has health benefits too, as watching TV in a dark environment can cause eye strain, this helps by providing the correct lighting to enhance your viewing. 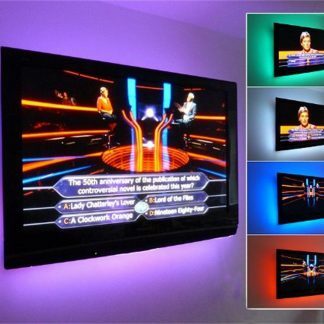 Note this has a 44-key remote control, comes with four LED strips pre-cut two at 40cm, two at 60cm, specifically designed for widescreen televisions. 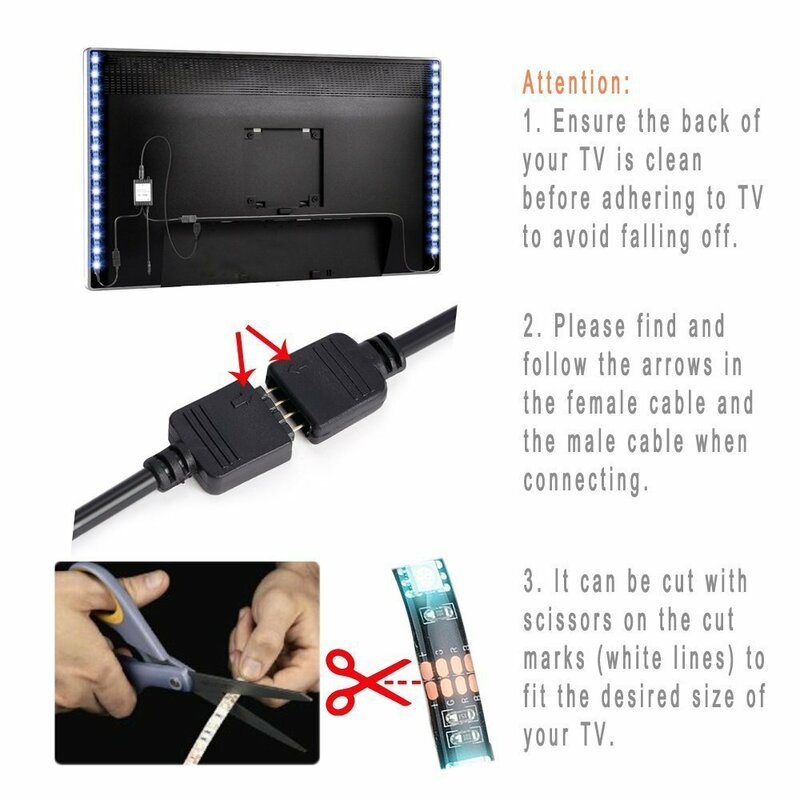 Easy to install, full instructions provided. 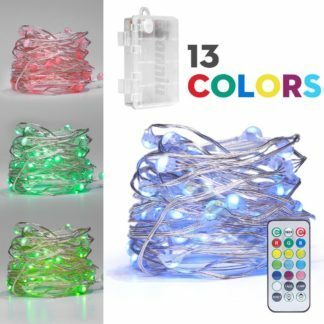 Ideal Christmas present! 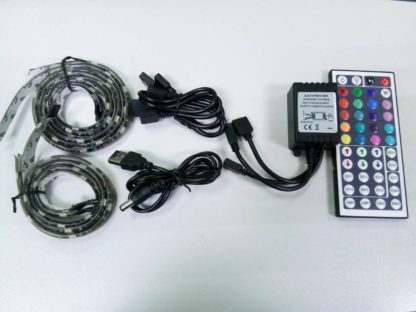 This item will be sent to you by Amazon.